During the latest cleanup of the Phoenix Zoo pond, they found a 62 pound “alligator-snapping turtle". This creature has been described as “straight out of prehistoric times” and found living in the deepest part of the pond located in front of the Zoo. The jaws are so strong that they are able to snap off a child’s arm or leg. 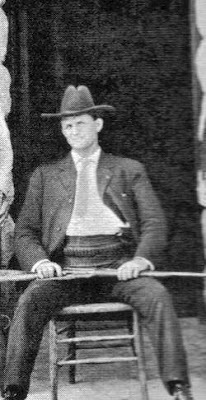 For 8 long terms, John Henry Thompson served as sheriff for Gila County in the years 1890-1912. He was born on December 19, 1861 in Bell County, Texas and in the early 1880’s arrived in the Payson area. He settled and farmed 160 acres which were located under the rim rock of the Mogollon Mountains. People gave him the moniker of “Rimrock Henry”, and that name that stuck with him his entire life.